An authentic Pre-Prohibition style of American Whiskey once popular at the original J. Rieger distillery that has been faithfully re-created by Ryan Maybee and team. A blend of four components that include four year old bourbon, five year old rye from Alberta, and nine year old light corn whiskey with two percent of fifteen year old oloroso sherry from the Williams & Humbert Bodega dropped in for good measure. A unique and worthwhile whiskey that is so easy to love with a flavor profile not quite like anything else out there. Notes include Red Delicious apples, maple syrup, pecan pie, orange blossom, black tea, caramel and nutmeg. J. Rieger & Co. was established in 1887 by Jacob Rieger in Kansas City, Missouri. After building an impressive line of 100 products and a customer base of 250,000 around the U.S., Rieger was forced to close the doors December of 1919, weeks before Prohibition laws were enacted. K.C. Speakeasy owner Ryan Maybee partnered with Andy Rieger (great-great-great-grandson of Jacob) to revive the brand in 2014. This bottling pays tribute to Rieger of the 1800s. Blended corn, malt and straight rye whiskies. Aged no less than seven years. And small amount of Oloroso Sherry from the Williams & Humber Bodega in Jerez. The nose hints toasty, salted caramel with the bite of red apple skin. Banana chip and cedar on the palate, with a smoky finish. 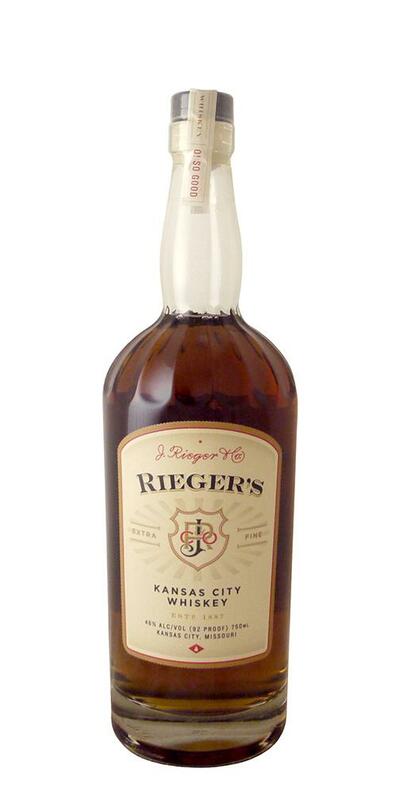 Notify me when J. Rieger Kansas City Whiskey is back in stock.